ABE’S was established itself in 1996 by selling bagels in the Auckland CBD. It has since gone on to sell its bagels in New Zealand supermarkets and to produce “bagel crisps”, which are thinly sliced pieces of oven-baked bagels. 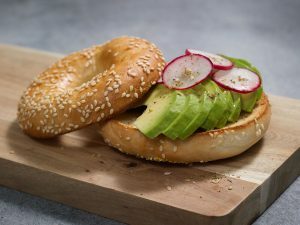 Although ABE’S bagel crisps have been available in Australia for some time now, it is the first time the company’s fresh bagels will be sold in the country. The bagels come in packs of four and are pre-sliced in half. They are available in three varieties; plain, sesame seed and multigrain. ABE’S says the bagels contain no artificial colours, flavours or preservatives and are low in fat. ABE’S Bagel bakery bagels are available now from Woolworths supermarkets. The recommended retail price is AUD $4.95.